The first two shows on the European leg of the Rubicon Tour has, according to the band itself been “memorable”. Today the band is in Amsterdam, while they played in Hengelo yesterday and London on Friday. “The Norwegian gigs went really well, and we were all very excited about showcasing Tristania anno 2010 for a foreign audience. The energy from the people attending the first two shows has been absolutely amazing. There’s been a really good turnout for both shows, and the feedback from the people we have met by the merchandize stand after the show has been nothing but great. We cannot wait to continue our travel through Europe. And we hope to see many both old and new fans” the band says from Amsterdam. 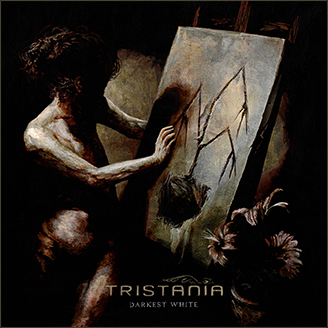 This entry was posted in News and tagged rubicon, tour, tristania. Bookmark the permalink. Nice show in Paris ! Why don´t you came to Stuttgart? The band actually was in Stuttgart, but the venue cancelled the gig because of a nearby demonstration as far as I’m aware. Hi Guys – thanks so much for the amazing show in Frankfurt. Great performance with up to 7 band members on the stage. Hope to see you again soon! I saw you in Paris, that was really nice (I told Kjetil and Mariangela thank you for the show). Unfortunately my favorite song hasn’t been sang… it is “Fate”, but it doesn’t matter because I liked the show !